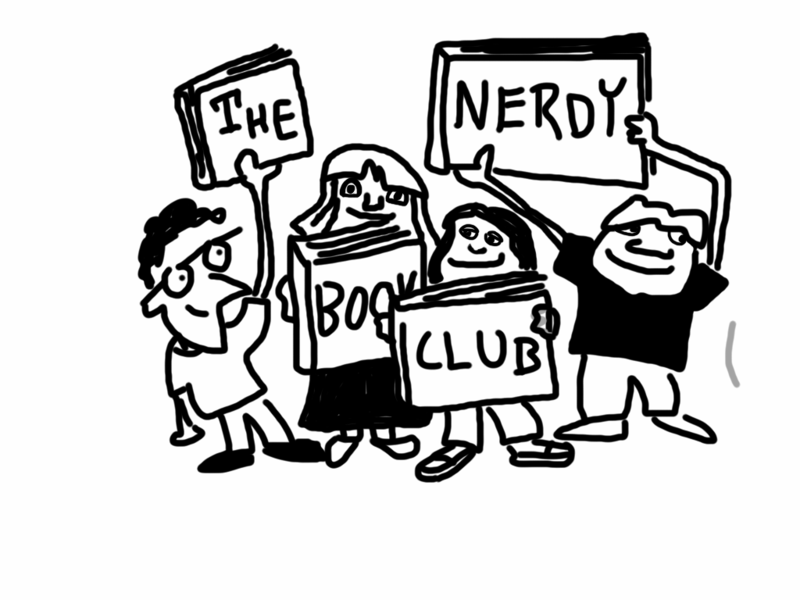 it has not one but TWO strong female characters, who love science, who go to science camp. Jaden & Risha are not only strong, intelligent characters – they are portrayed as equally intelligent to the boys that attend the same camp. The scientific information is fascinating and not simplified. Jaden uses the same language as her father – a top researcher in the field of meteorology. I appreciate that I had to work a bit to stay with the concepts. The main character of this book, Jaden, is a sixth grader. As I was reading, I couldn’t wait to find out what my own sixth grade daughter would think about the book. After I finished reading, I passed it along to her. She loved it as well and offered to answer some questions and share her thoughts. K: I loved that there were not one but two strong girl main characters in this book, and that they were into science. What did you think about Jaden & Risha as characters? D1: I was very intrigued by the depth of character description. For example, one particular part I liked is when Kate Messner describes the way Risha rides; free handed. I made an inference that Risha was a daring girl, and the inference developed throughout the book due to all of the daring, and partially life-threatening things Risha did. Even though the reader is just getting to know Risha, it was nice not to have a regular friend-friend thing with the characters. I liked the fact that Risha was used to the StormSafe community, yet Jaden was still scared. I think this as a good example because it goes to show how the two friends (or at least Jaden) weren’t in total in trust with each other. 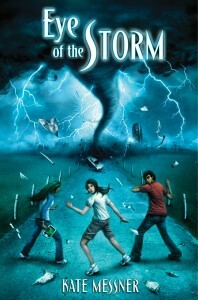 K: Eye of the Storm has a strong basis in scientific knowledge and information. How did you feel about that aspect of this book? D1: I liked how the information was not entirely discombobulating, but it still made sense in a way that an 11-year-old would understand. When I read the scientific information, I thought it was very helpful to the understanding of the schemes and plans that Alex and Jaden had. I liked that I could relate to the characters more because of the fact that I understood ideas and was more connected to their train of thought. I felt so much more involved in the book because of the strong scientific knowledge/information basis. K: The night you finished this book you told me that you would never think about storms in the same way again. Tell me more about what made you say this. D1: Well, my point of view might have changed more than my thoughts. Some of the dates in the book were pretty close to the present time, and because of how fierce the storms were, it nerve-wracks me a bit. Since a lot of storms like the ones described in the book ( I mean like tornadoes and thunder storms, not the ferocity of the storms) will not happen in the winter-which is now– more likely in the future, and concluding with the fact that this specific book takes place in the future, the idea of the storms…especially finding out that the storms were natural, and Jaden’s dad only controlled…is a bit scary. K: What genre would you say this book is and why? D1: I would say science fiction. The science involved with all of the storms is definitely obvious (in a good way), but there is also some fiction…well now that I think about it, it’s more just science and realistic fiction in a mix. I already said why for science, but I say realistic fiction because controlling the storms is actually a valid generalization because it is backed up by information, also valid. The science used is believable and understandable, so it does seem possible for realistic fiction to be a possible part of the genre of this book. K: What would you tell your friends about this book? D1: Well, I would definitely recommend the book to them. I would tell them that it was a great sci-fi book, and has a lot of action, and very good character development. The clarity of the science is helpful to the understanding of the book, because if there were no science descriptions of what was happening, then the book would make absolutely no sense. Here is another great blog post that Kate wrote titled When Life Imitates Art: Tornado Outbreaks and Eye of the Storm. It includes some great links to websites for information about tornados and other weather related information. Walker Childrens, Hardcover, 9780802723130, 304pp.